let's buy some art! it seems to me that when it comes to buying gifts for others, art is almost never considered as an option. yes, i'm very aware that art is personal, beauty is in the eye of the beholder and all that jazz - but to me buying art for someone else is really no different than taking the time to painstakingly choose say, a pair of pretty earrings. in both situations you have to consider the person's personal style and preferences. you can also buy art for yourself. either way, it doesn't have to be scary. in fact, with the development of the websites below, i'd say it's getting easier and easier! in my e-course, i talk a lot about buying art, the many different kinds (originals, paintings, prints, limited edition prints, posters, photography, canvas transfers, sculpture, imports etc), and general price ranges. if you want more details, you can sign up for the course at any time, here. one | there's lots of sites that sell every image under the sun - an example is all posters. they sell these images in every format possible (except of course, the original!). they'll even frame it for you. * the upside is that you can likely find what you want, especially when looking for posters or images by famous artists of history. but the downside is just that, there's no focus or theme or brand. update: as of january 2012, 20x200 have changed their prices - still well worth the money however! three | society 6. this is one of my favourite new sites. it feels very modern, is set up well, and is incredibly easy to use. 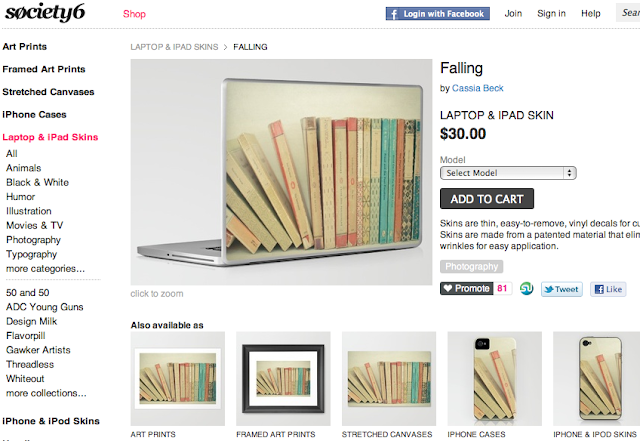 society 6 cleverly targets both the art market and technology market. 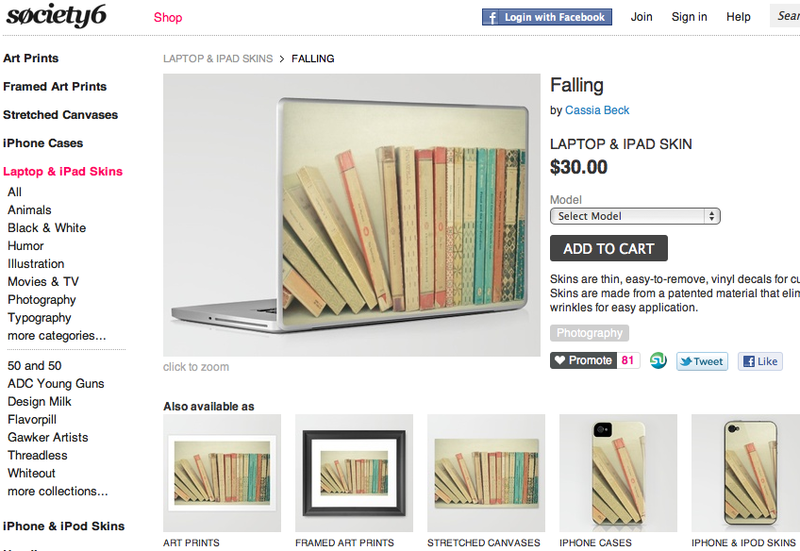 they sell art prints, canvas transfers, iphone, i pad and laptop skins, and a bit of apparel. 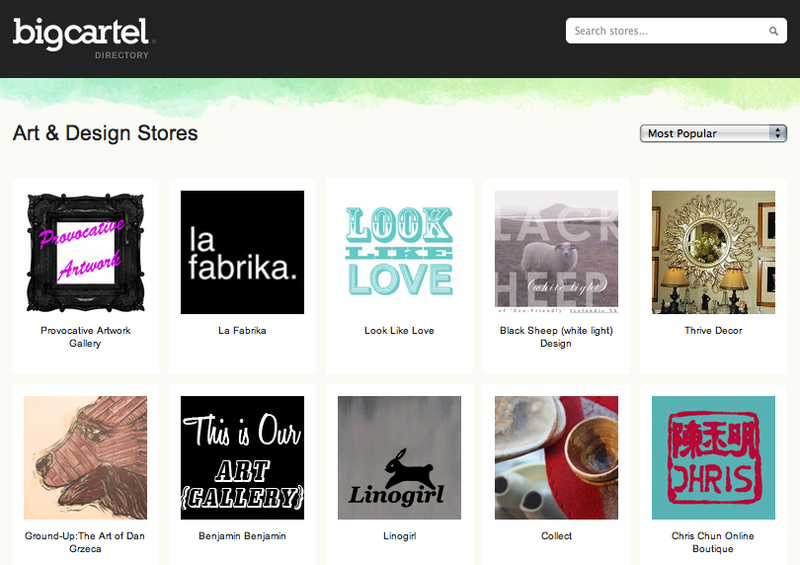 they represent up and coming artists, designers, photographers and illustrators. they also tap into specific trend markets by presenting collections curated by the editors of design milk, cool hunting, threadless and more. four | artstar. this site is newer but is simple and i suspect it will make an impression quickly, once they add more artwork. dealing mostly in prints, art star also offers a few original artists and gently coach visitors to consider this option when they are ready to expand their collection in that direction. as the site is for "collecting," the sizes generally begin at 11x14. 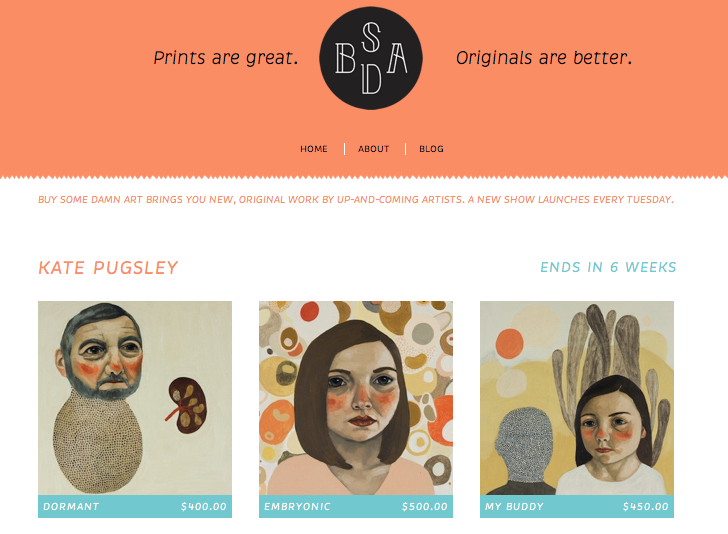 five | buy some damn art. although this little blog style website is very new, i'm including it here because i really love the premise. each week, the editor lists about six works of original art between 200-500 dollars and you can snap them up before they're gone! it's a very exciting opportunity, and you have the chance to get in on the ground floor of a great artist's career! six | etsy, big cartel, etc. if you want to buy art straight from the source, these are the places to go. 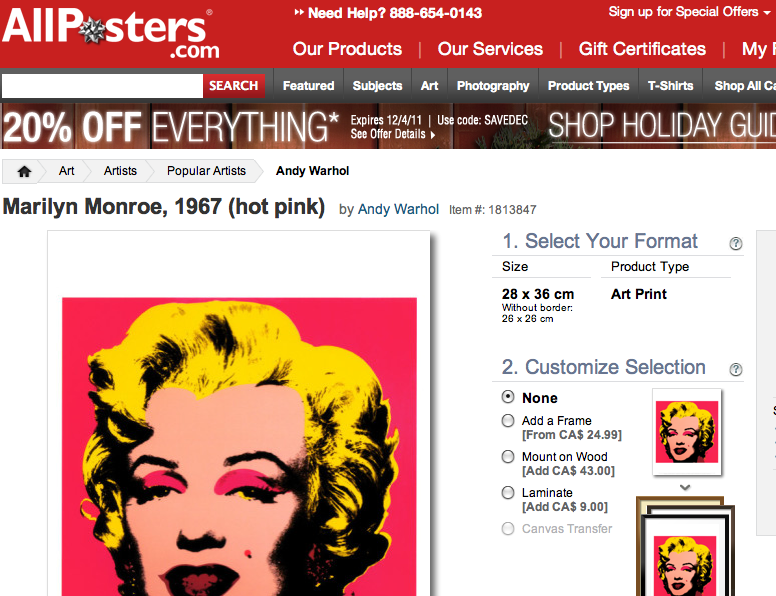 there's a real sense of excitement in purchasing any form of art directly from the artist. you may be able to get a deeper sense of the meaning behind the work, and even have discussions about it with the artist. read the product descriptions carefully however, as the works have not been scouted for a certain quality - something that can be important when you want your art to last for decades or more. *which makes no sense to me because no one except qualified art movers should ever be shipping glass under any circumstances. ** dream of all dreams!! 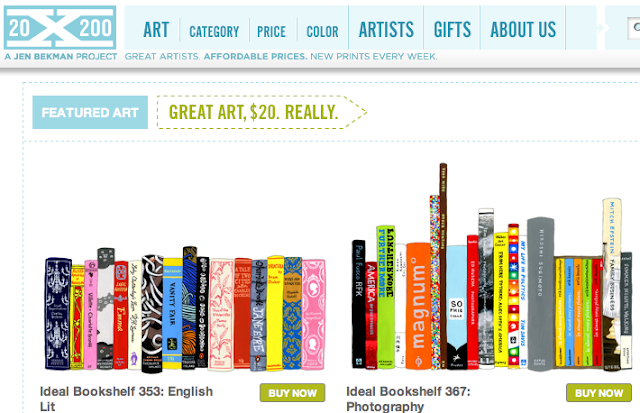 *** i have to tell you this crazy thing - i came across jane mounts "ideal bookshelf" website the other night at work. i usually email myself cool links like this but i had to leave and had already closed out my email so i just closed the tab. 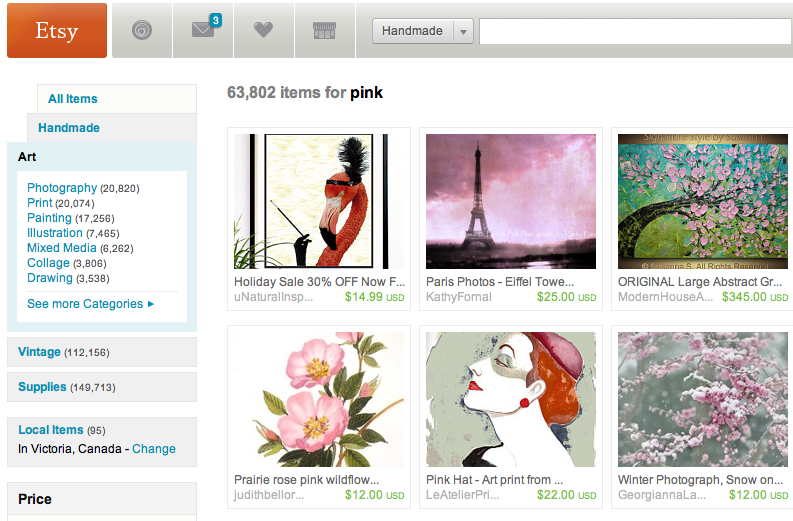 then the very next morning i got my 20x200 email and jane mount was the featured artist!! how crazy is that? ooooh i love the ipad cover! books!